Chicago DP Matt Rossetti and I made our way to St. Louis, Missouri to meet up with Dallas DP Nate Galluppi. 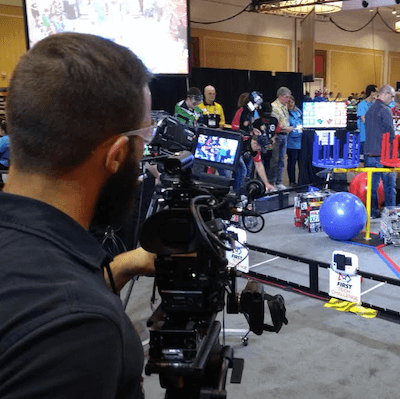 Nate, Matt, and I were there to film recap videos for the FIRST Robotics Championship, a competition that lasted several days and involved kids of all ages from all around the world. 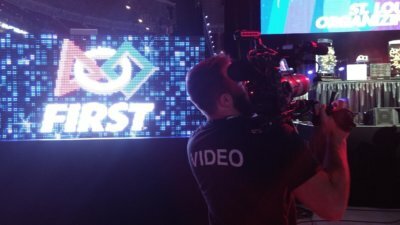 FIRST (For Inspiration & Recognition of Science & Technology) is a program that encourages students worldwide to reach their full potential by participating in a robotics building team that then gets to compete in the FIRST Championship. There are four FIRST programs – FIRST Lego League Jr., FIRST Lego League, FIRST Tech Challenge, and FIRST Robotics Competition – all of which were in attendance at the championship in St. Louis. 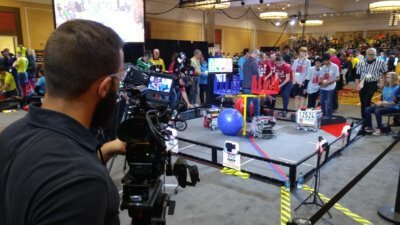 During the four-day event which consisted of science fairs, practice competitions, seminars, opening ceremonies, qualifying matches, student presentations, award ceremonies, selfies, the robotics championship, closing ceremonies, and plenty of spontaneous dance parties, we shot B-roll, time-lapses, and interviews to thoroughly cover the championships for our client, Adrenaline Broadcasting. 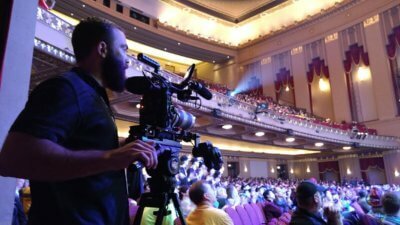 All event coverage was shot on two C300s except for several time-lapses which I shot on a 5D MII with a Syrp Genie, allowing me to add pans and slides to make the time-lapses look even cooler. The recap videos needed to be finished quickly so that they could be shown between matches during the Championship. To achieve the quick turn around we took notes of all of our footage, had a PA run cards to our client’s editor, and worked closely with the editor to ensure that everything that needed to be covered was taken care of. The four days flew by and we had a blast being able to shoot and experience this unique event.